Let’s start with the SOAP server instance. I created a module called “nusoap”, and copied the lib folder from nusoap into it. 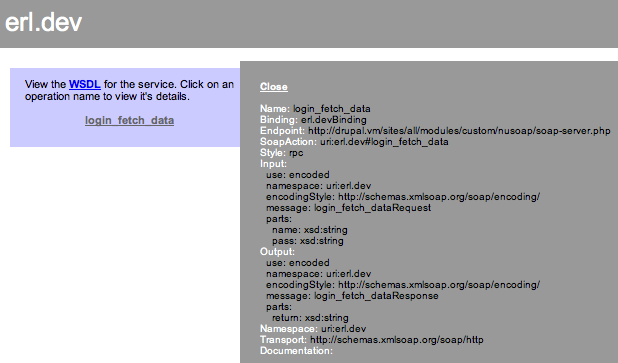 I then created a file in the module’s directory called “soap-server.php” and added the following code. For the sake of this article, I did not include the rest of the Drupal module’s code. I then created a new Titanium iPhone project. In the Resources directory, I created a directory called “soap-test-includes” to contain the suds.js library, and the soap.js file which uses this library. 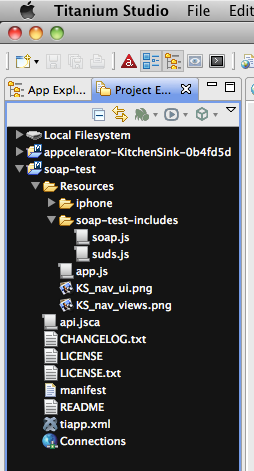 The suds.js file is available in the Kitchen Sink Titanium project, if you choose to import it. 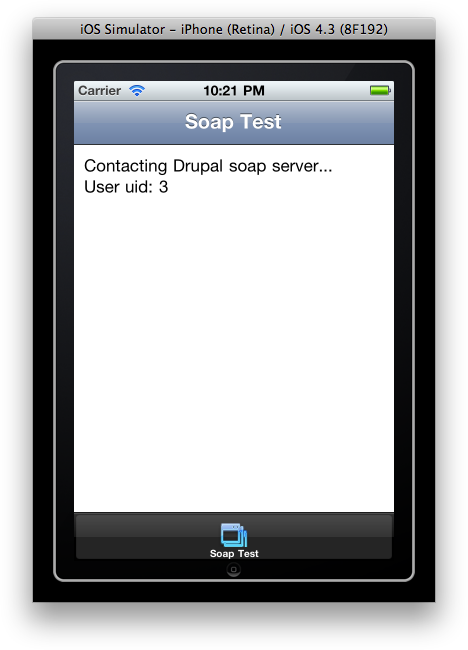 When I build and run the project, the iOS Simulator opens and shows the results of the soap connection!